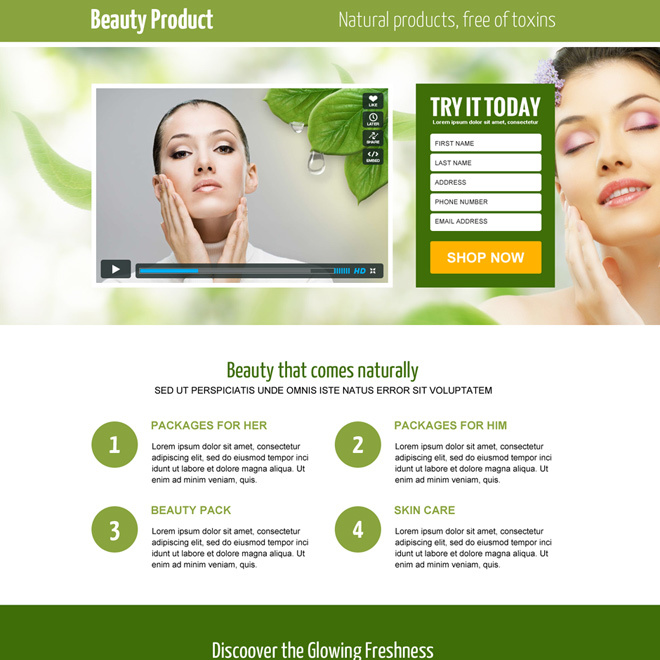 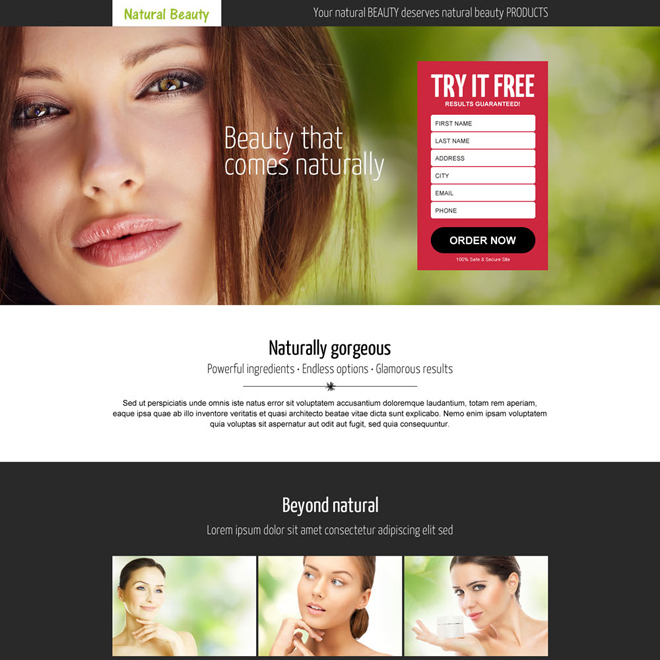 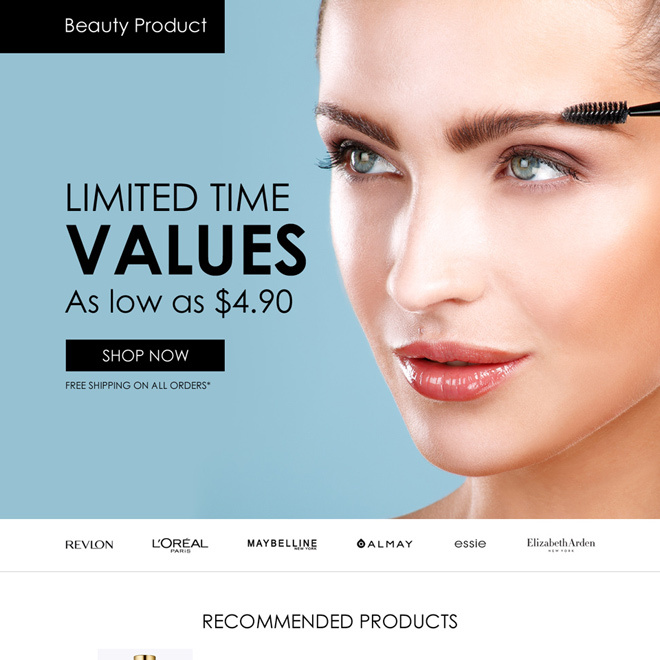 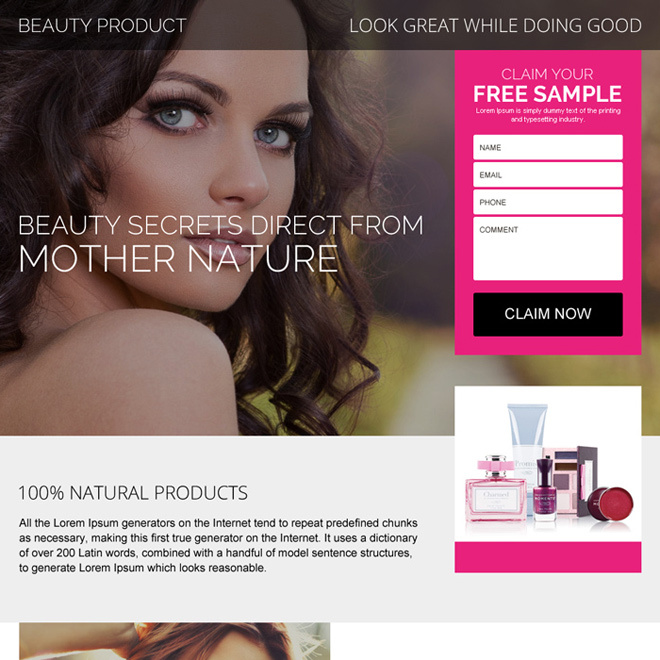 Responsive beauty product landing page design templates to maximize your sales and revenue. 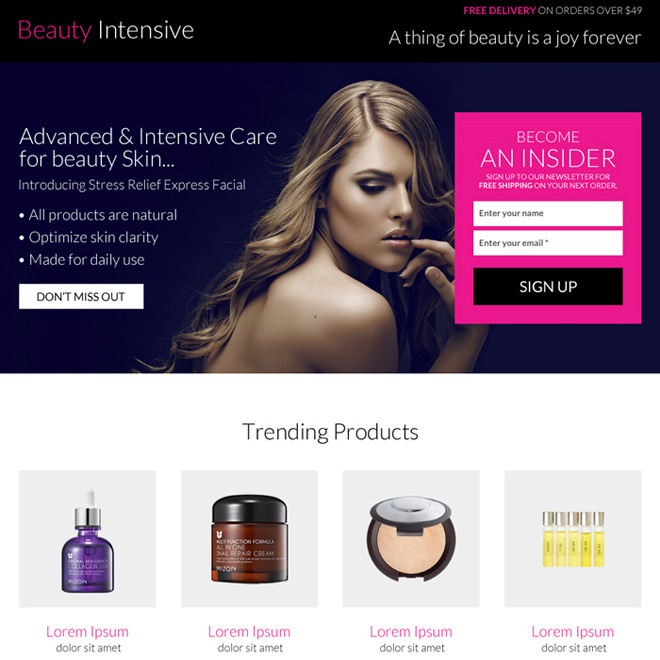 Do market your beauty product with our optimized responsive beauty product landing page design templates which support on desktop, tablet and mobile. 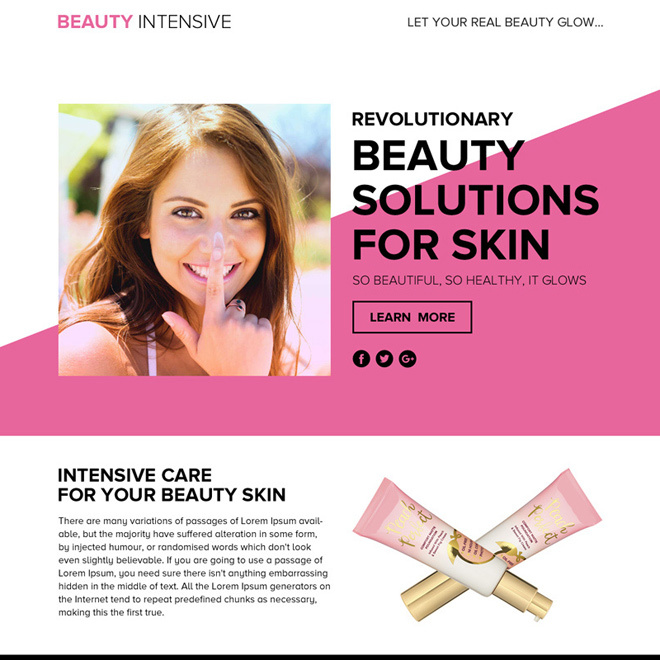 Our clean, creative and converting beauty product responsive landing page design optimized for SEO and best for your business marketing campaigns. 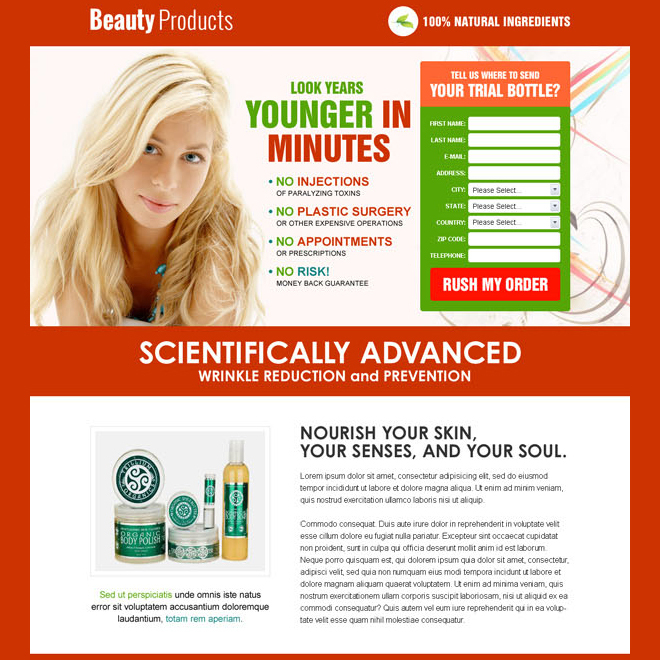 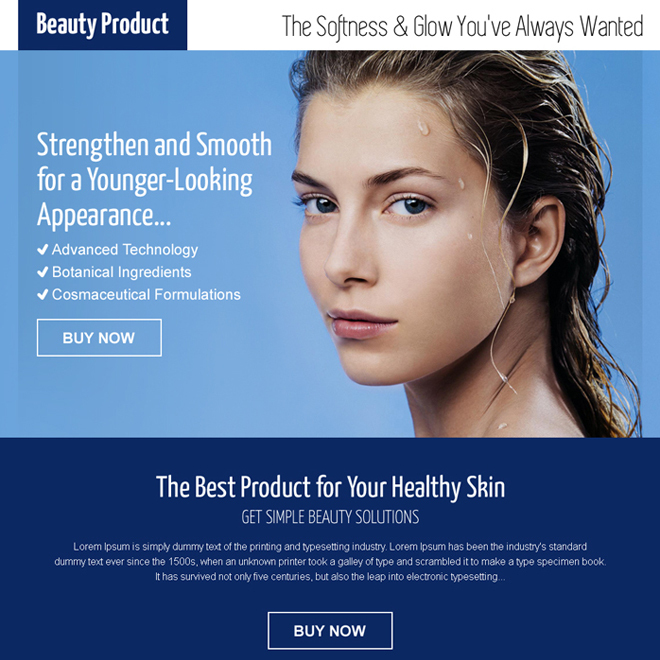 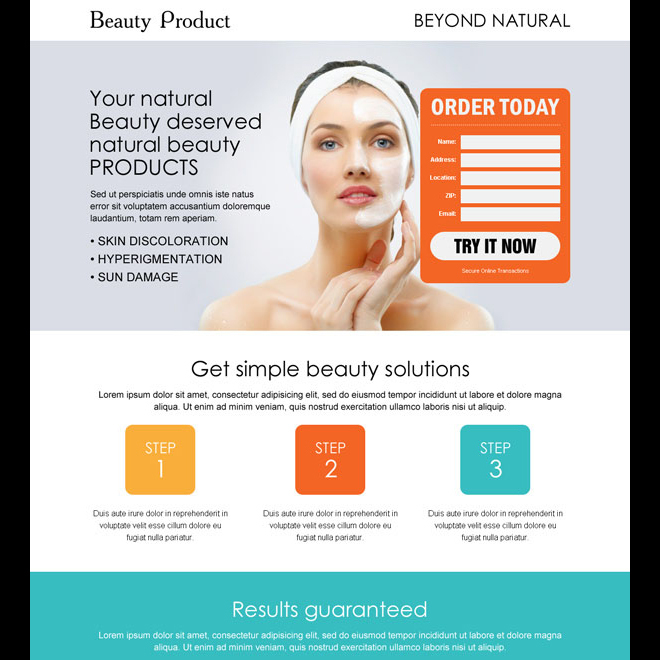 Get maximum sales and revenue for your beauty product with our high converting responsive beauty product landing pages.